We are working on our new look and we'll be launching soon. Our valuable experience and achievements in the cleaning industry has helped us become specialists in the industry, and offers a wide array of cleaning solutions. With over 40 years’ experience in specialised sectors of security industry, our management team brings a united solution to all your security needs. With years of experience, we are able to cover the entire horticultural spectrum and are able to provide detailed turnkey solutions. 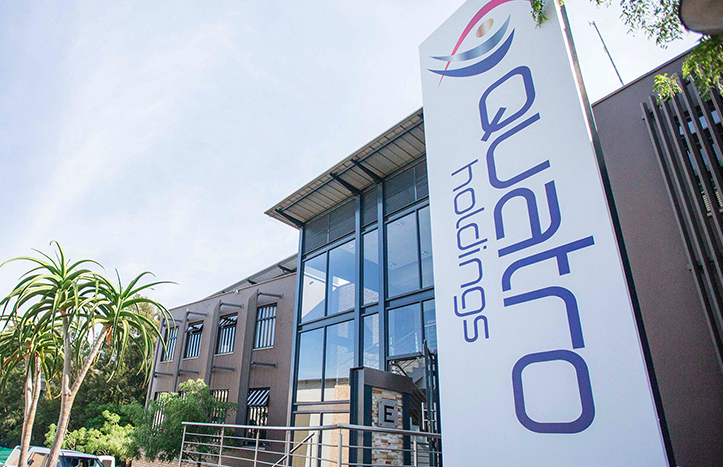 Quatro Holdings, together with its respective subsidiaries, has not only become a recognisable brand in the South African soft services market, but has also made significant inroads in becoming a preferred supplier to various JSE-listed companies. Our unique hands-on approach to all three of our disciplines – from a welcoming and seamless customer experience, from the officer at the gate to the landscaper, enhances our “soft product” offering. Typically, such enhancements entail a cultural shift within the organisation, particularly for front-line, customer-facing employees.